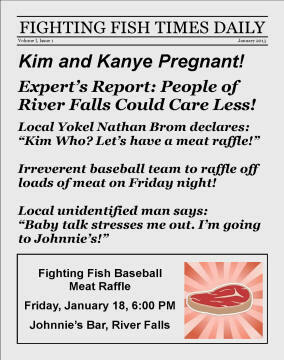 Meat Raffles: A Man's Answer to Tupperware Parties. 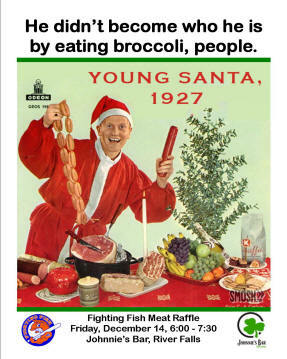 I've been asked by my grandson to let everyone in on the secrets of my success in the area of meat raffles. 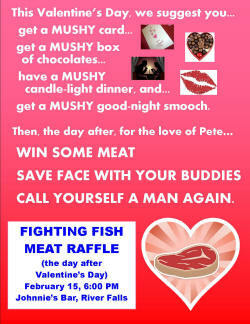 So, here's a surefire way to come home with some good meat from any raffle . . . at least as far as I know. Click below for my inside tips, and enjoy your meat! 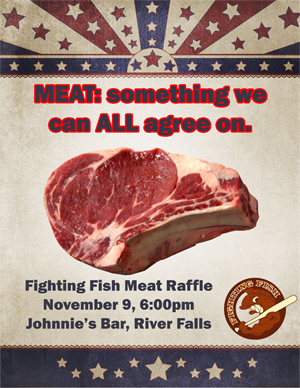 Each raffle is a little bit different, but for the Fighting Fish Meat Raffle Series things are pretty simple. 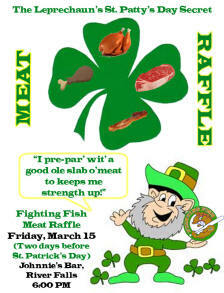 >There are ten rounds in the raffle, and in each round, two fine specimens of meat are put out next to the wheel. 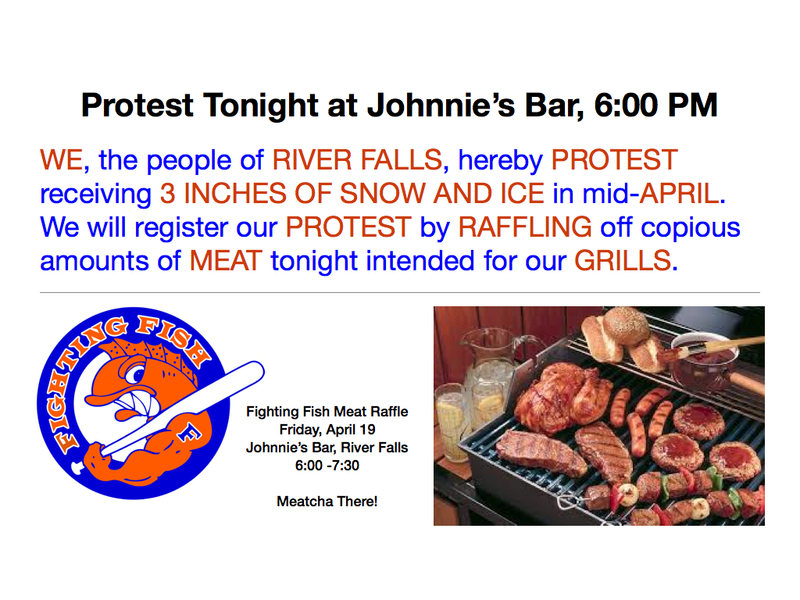 >Each round, Raffle Representatives, or "Meat Monkeys" as I call them, come around and sell sticks for $2 apiece for each of the 30 spots on the wheel. >When all of the sticks are sold, the wheel is spun, and whoever is holding the stick with the chosen number wins. >The winner of the first spin gets his or her choice of the two meats, and then the wheel is spun again to divvy out the last specimen. >At the end of the round the sticks are collected by the Monkeys, and resold again for the next round.